Sell the value and the benefit of your product or service to your customer. Focus on explaining and expressing how it works for the customer. 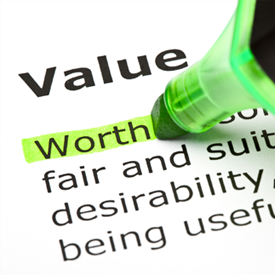 If you focus on the value, the price becomes less and less important. If you don’t focus on value, the only thing you can talk about is price. The research says that the value is the difference between the price you charge and the benefits the customer perceives he will get. If the customer perceives he will get a lot of benefit for the price they pay, then their perception of value is very high. So you can control that. Once, you’ve done this, you’ll be able to move on to the next step which is identifying your ideal customer avatar’s problem clearly. What kind of problem does your customer have that you can solve? If you have identified your customer correctly, these people will pay you to solve their problem. Sometimes the problems are obvious and clear. Sometimes the problems are not obvious or clear. Sometimes the problems do not exist for the customer. If the problem does not exist, the customer will not buy your product. Finally, make a list of all of the benefits of your product or service and the ways it will solve your customer’s problems. The more benefits and solutions you can clearly provide to your customers, the less they will be able to deny your product will solve their problem. The AEP is right around the corner and there are some exciting opportunities on the horizon for 2017. 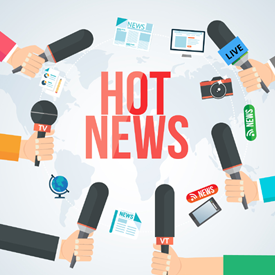 Make sure you are up to date with the latest information including expansion areas (available now for select carriers), plan designs (coming soon) and certification announcements.Join our update list today or call one of our marketing representatives at 800-998-7715 for the latest information. As an added value, we are providing a discount on AHIP training for being a part of our team. 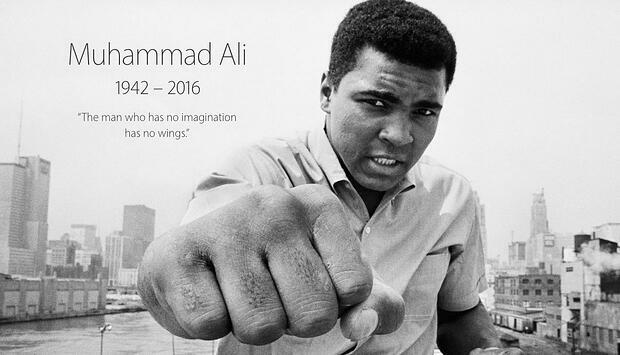 Click on the link below to access the details. 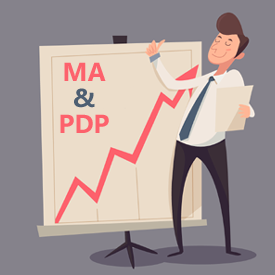 Bonus: CMS also just released some great news for Medicare Advantage and PDP commission rates for 2017 and they are the highest ever! Details located here. More exciting details to come and we look forward to being your one-stop-shop for all your Medicare needs this enrollment season. PSM is proud to announce two New Exclusive Medicare Supplement products now available for our agents to get contracted. Both products are poised to take the industry by storm with ultra competitive rates and commissions. We are excited to bring these new opportunities to our agents and make sure you have the most competitive options in your portfolio. Along with excellent rates and commissions, you can also expect to see best in class service and support along with some new technology to make it easy to write business. We appreciate the opportunity to be your broker of choice and look forward to working with you on these exciting new offerings. Please click on the links above to request information or call our office at 800-998-7715. 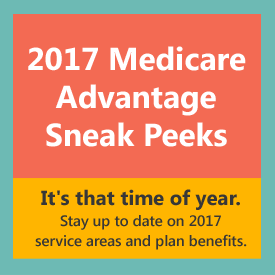 For 2017 effective dates, CMS has increased maximum broker commissions for both Medicare Advantage and Prescription drug plans. Below is the content from the memorandum published by CMS. This memorandum provides the updated agent and broker compensation limits for Contract Year (CY) 2017 and information regarding submitting compensation amounts to the Centers for Medicare & Medicaid Services (CMS) through the Health Plan Management System (HPMS). Additionally, this memorandum provides requirements for Medicare Advantage organizations, Prescription Drug Plan sponsors, and Section 1876 Cost Plans (herein after “organizations”) to use in developing their curricula for training and testing agents and brokers for CY 2017. The chart below summarizes the CY 2017 FMV cut-off amounts for all organizations. For CA and NJ, initial MA commissions increased to $553. Replacement commissions increased to $277. For CT, PA and DC, initial MA commissions increased to $498. Replacement commissions increased to $249. For all other states, initial MA commissions increase to $443. Replacement commissions increased to $222. Initial PDP commissions increased to $71. Replacement commissions increased to $36.